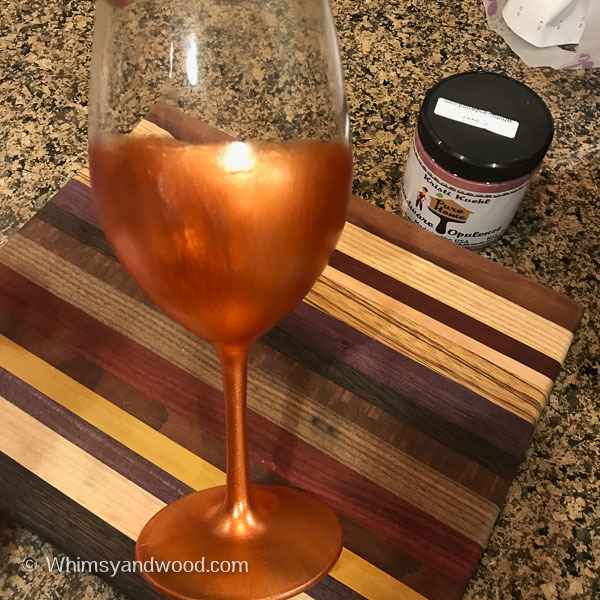 This DIY painted wine glasses with metallic paint post contains affiliate links. These links are to the supplies I use and recommend. Purchased made from the link help pay to keep our blog going and are at no cost to you. I really appreciate your support. Thank you. Do you love all of the fancy painted wine glasses you see on ETSY? Me too! But, it has never been practical to have at backyard parties. 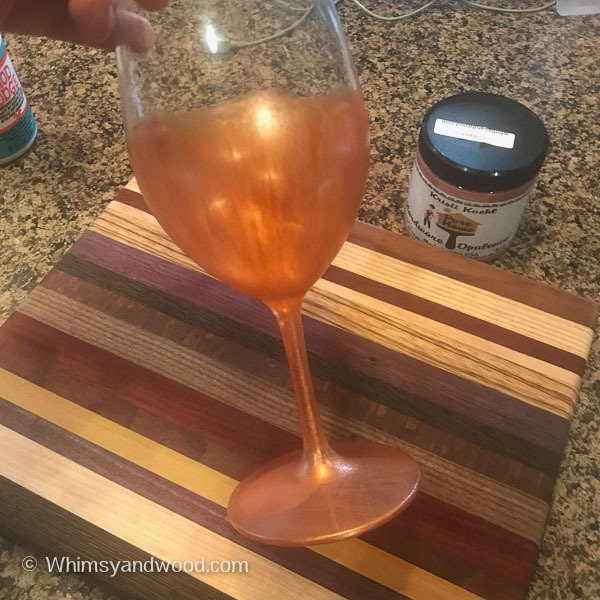 You can use this DIY painted wine glasses with metallic paint process on glass or plastic. 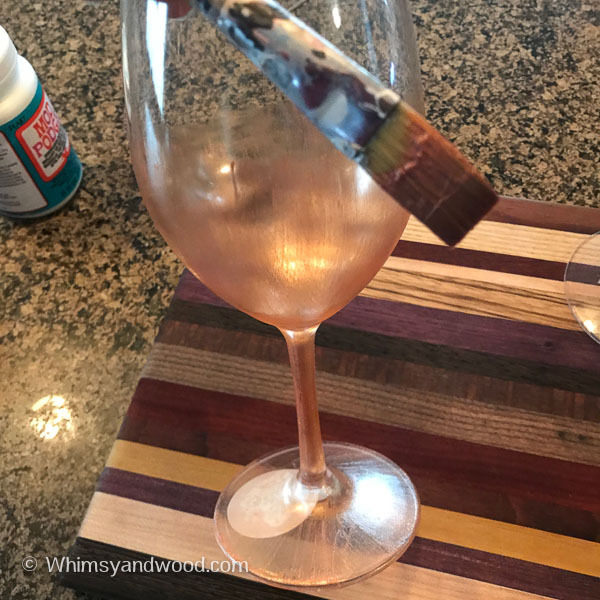 I recently needed some DIY painted wine glasses to go with a project I had just finished. 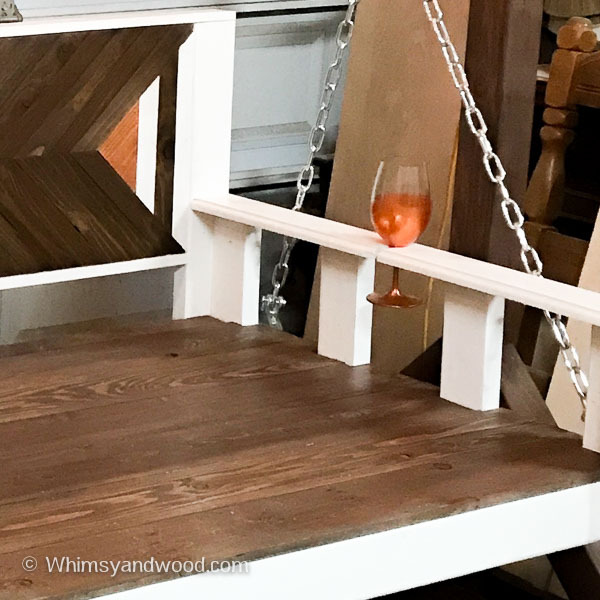 An amazing Daybed Style Porch Swing Bench, I used our Copper Metallic paint in the finish and wanted metallic glasses to match (click Daybed bench post here to see it). The daybed bench design included perfect little notches to hold a wine glass, but there was no way I could have painted wine glasses in the backyard around frisbee throwing kids or jumpy dogs. 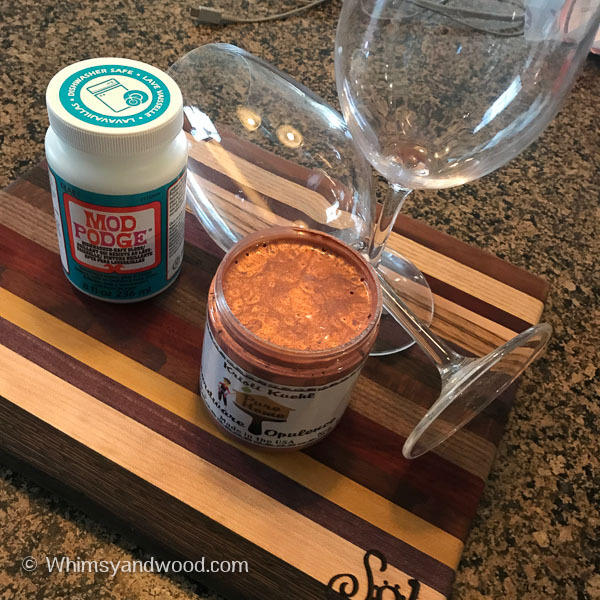 So I whipped out my Copper Metallic Opulence paint to dress up some shatter proof plastic wine glasses and complete the chic metallic look. 1. Gather your supplies to DIY painted wine glasses. 2. Paint thin layers using the metallic opulence color of your choice directly on your clean, dry wine glass. Wait about 10 minutes between coats. 3. Continue to layer until you get the look you want. The paint is semi transparent. This cup took about 4 coats of paint. This paint includes a sealer, but I wanted to make sure it was dishwasher safe. 4. 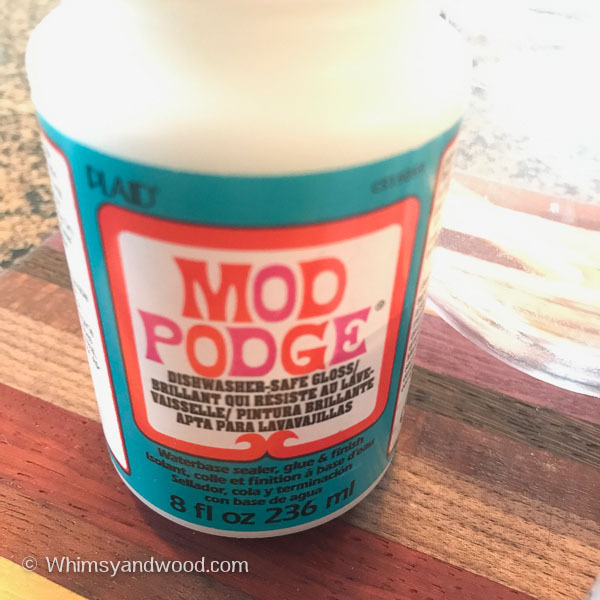 Use DISHWASHER SAFE-GLOSS brand Mod Podge. Follow the directions on the container. If you are using the metallic paints, make sure you only use the gloss type Mod Podge. If you use a matte version it will dull your metallic opulence. 5. Pour yourself a glass and head out to enjoy yourself. 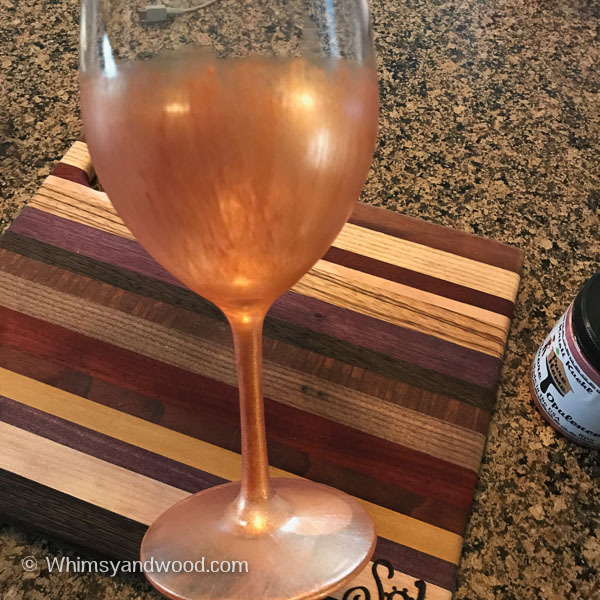 This will work on glass stemware or any other glassware.